Have you ever reached the point of getting so fed up with something that you realise you need to take more dramatic steps to get past it? This is how I felt with with my skin in the latter half of 2014 - specifically breakouts. I have suffered with spots in varying degrees for 15 years now - isn't that just a crazy figure? I had mild acne in my mid-late teens and whilst my skin has since been a lot more stable, mainly thanks to becoming a LOT more savvy with my skincare, I've still been plagued with spots on a daily basis. However I realised that topical skincare wasn't enough to combat my breakouts and I needed to address my skin health from within. I would say I have always eaten fairly well; I eat a lot of fruit and vegetables and don't eat lots of junk food like cakes and chocolate (though of course I have my downfalls - Dairy Milk Oreo I'm looking at you). I also drink a lot of water as I'm not keen on fizzy drinks. However my diet did contain a lot of dairy, which has links with acne - though it isn't proven. After reading up on this on the internet, I discovered that the thought behind it is that dairy contains certain natural hormones that can stimulate the skin's oil glands, leading to clogged pores and breakouts. I noticed a lot of people say on Twitter, blogs and YouTube that their skin improved after cutting dairy out of their diet, so I decided to give it a try. Making a change is always easier when done is small, achievable steps, so this is how I approached cutting dairy from my diet. First I swapped normal milk for Almond Milk and Soya Milk as I was having a lot of milk in cereal and tea (I find Almond is nicer with cereal and Soya with tea - but unsweetened). I make sandwiches for work everyday, so I then swapped my Flora for dairy free spread and white bread for "Free From", brown, seeded bread, which is gluten free as well as dairy free. I ditched the grated cheese filling and now have ham or salami. I've now also stopped having cheese on top of main meals (like spag bol) and avoid cow's milk/cream based sauces for pasta, curries etc, using coconut milk or soya cream instead. The one thing I have struggled cutting out though is pizza - I absolutely love pizza and for ages it's been me and my other half's Friday night treat. I now have pizza without the cheese - it's not the same, but still makes me feel like I'm getting my fix! Though just yesterday I did pick up my first dairy free cheese to try - so maybe cheesy pizza will be back in my life soon! In general I find that it really helps making things from scratch because then you can avoid what you need to and use whatever substitutes you like, plus it's much healthier overall. So I've been doing this for months now and the difference in my skin is amazing, so much so that friends and family have commented on the change. Don't get me wrong, it's not like I don't have any spots anymore, because I know I have other triggers such as stress and certain skincare ingredients. But my skin has cleared up massively; the lumpy, cystic spots I was getting have been banished and it's generally odd little whiteheads and blemishes I have to contend with now. I even went out the other day with no foundation on, just some concealer! I can't explain how much of a big deal that is to me. Just to be able to look in the mirror at home makeup free and not feel disgusted at my skin is an massive achievement. If I ever have dairy now it's in occasional and in extremely small doses - such as a couple of biscuits or a piece of chocolate, which doesn't seem to affect me. Cutting out dairy does take some adjusting to and when it comes to eating out it can be more difficult, but for me it's oh so worth it for the amazing results. I also want to give a special mention to some new supplements I've been taking at the same time, which I feel have contributed to my skin generally looking healthier. I have been boosting my diet with Organic Burst, which produce a range of organic superfood supplements, after reading about them on the blog Fragmented Splendour. 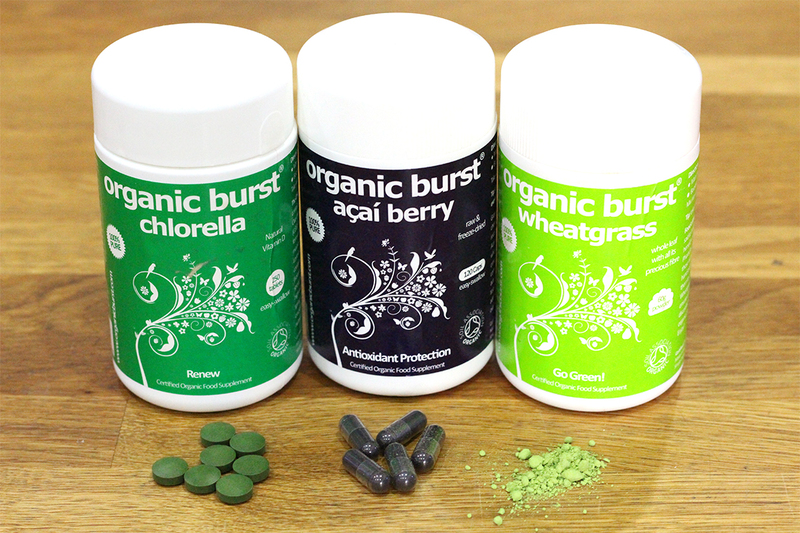 I have been taking three of these, which Organic Burst describe as their top three beautifying superfoods for radiantly healthy hair, skin and nails; Acai Berry Capsules (£18.99 for 120), Wheatgrass Powder (£6.69 for 60g) and Chlorella Tablets (£16.99 for 250). The three are a powerhouse of vitamins, anti-oxidants and essential fatty acids, containing things like Omegas 3, 6 and 9, Vitamin A, Vitamin B2, Vitamin E, Zinc and Selenium, which are all great for the skin. I bought them individually from Feel Unique (clickable links above), but they can be bought as a bundle direct from Organic Burst. 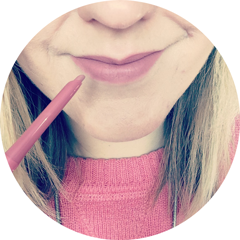 Please note that I am no expert when it comes to diets and skin health, but hopefully this post will inspire some of you that might be looking to make similar changes. I'd be really interested to hear any of your tips and/or experiences in the comments below! I love the idea of this but I just don't think I could do it. I take supplements everyday and I've found they are making a massive different! I actually cut out gluten and dairy for a while due to other health reasons and it did nothing for my moderate acne unfortunately. Glad it worked for you though! I've just recently made the change from normal milk to almond milk and I really love it. 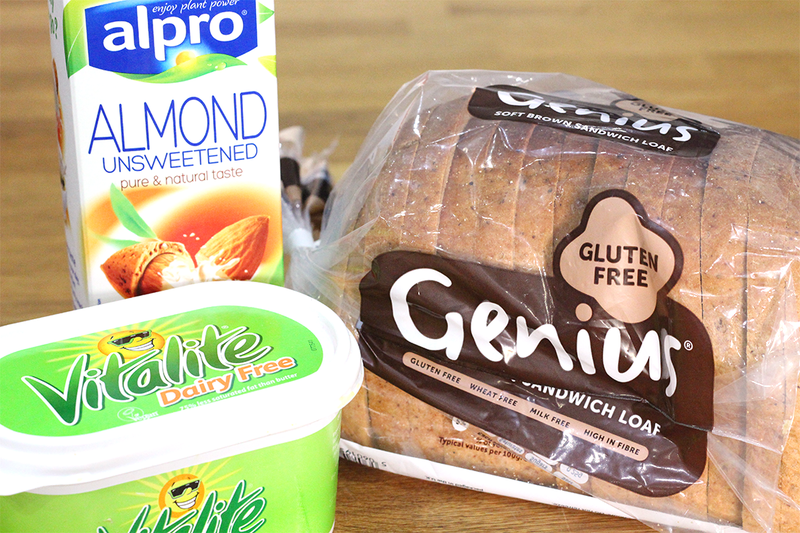 On the whole I don't eat that much dairy anyway so I reckon I could completely cut it out of my diet, my only problem would be finding a gluten/dairy free bread which was Slimming World friendly too! I cant tell you how amazing cutting any dairy out of your diet is for your skin! I'm actually allergic to all dairy products and my skin is x1000 better than ever before!